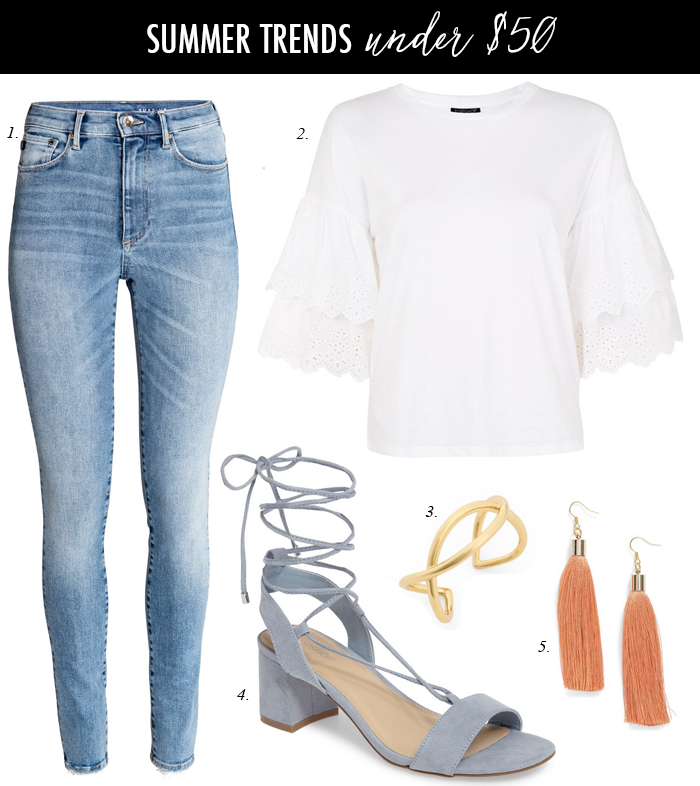 I thought this white eyelet tee paired perfectly with these blue suede sandals and orange tassel earrings - plus everything is under $50! The tassel earrings come in seven different colors - and the sandals come in three colors. 1. This cute canvas tote - that would be perfect for the beach (or pool) that is under $30. 2. This striped peplum tee that is under $40. 3. This mini chambray backpack that is 50% off. 5. This crossbody bag that looks like the Chloe one but is under $50. Be sure to link up your favorite posts this week with my friends at The Blended Blog. Loving the sleeves on that cute top!! I've been smitten with pretty blouses lately! This one is no exception! Also, may I put in a request for an inspiration post? Embroidery! (Have you done one yet? I looked through your posts and didn't see one but I could have missed it). Anyways, I'm wanting to add something embroidered to my closet but am not finding the right piece. I need help! Love that white ruffly top!